« Older: Letter to the Editor: Since When Has Discrimination Become Policy? Illegal trafficking of native parrots for house pets has been an escalating problem over the past several years. 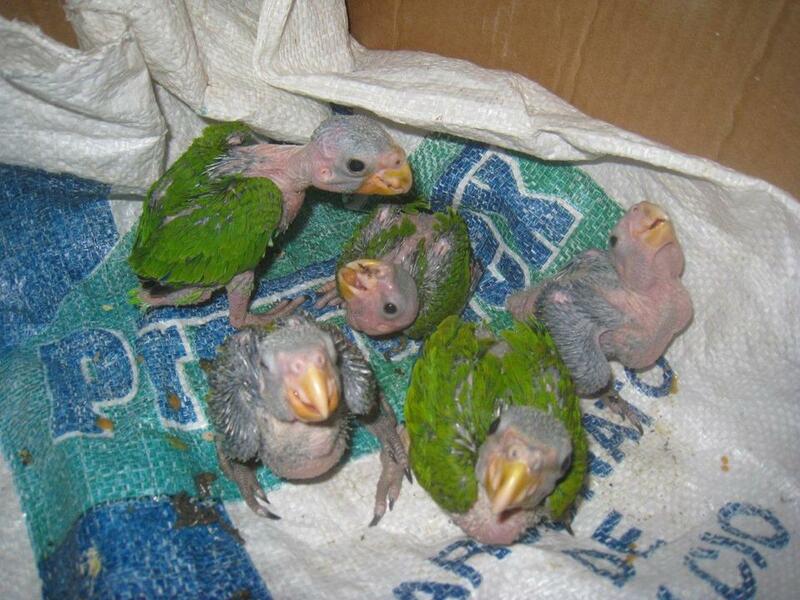 These birds are captured at a very young age to be sold as pets in the illegal pet trade market. The process results not only in the destruction of trees and life-long nests, but usually the death of the majority of the hatchlings that are taken for the pet trade. One nonprofit organization has made parrot poaching its mission to solve. 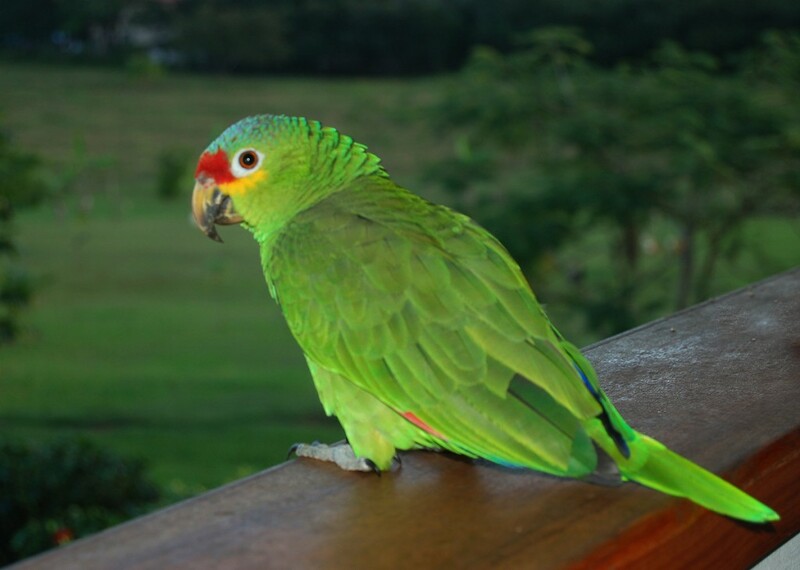 The Belize Bird Rescue (BBR), located in the Cayo District, was founded by Jerry Larder and Nikki Buxton. Since 2004, they have been rescuing birds from the illegal pet trade. Larder and Buxton work closely along with the Belize Forest Department to encourage the enforcement and implementation of the Wildlife Protection Act, Chapter 220. 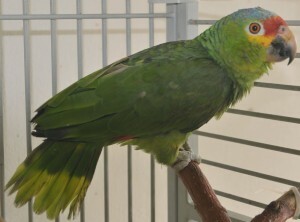 They also rehabilitate and release rescued captive parrots. BBR aims to initiate the mandatory banding of the licensing program of all captive indigenous avian species. According to BBR the most common parrots that are poached in Belize are the Red-Lored Amazon and the White Fronted parrot, since they are the easiest species to find. The Yellow-Headed parrot is also a species that is often sought after due to its ability to learn how to talk. The Yellow-Headed parrot has been listed as an endangered species since 1992. Most nests of these parrots are raided yearly during the nesting season usually between April to October. Equally concerning is the raiding of nearly all Scarlet Macaw nests. These chicks are usually taken across to neighboring Guatemala, where they are sold at high prices. The forceful extraction of the chicks from their nests are usually done by cutting down trees that are anywhere from 10 to 30 meters high. Many of the nests of these parrots are located at the Chiquibul Rainforest, which is popular for Scarlet Macaw poaching, and Bladen and Payne’s Creek, where Yellow-Heads usually nest. Both of these areas are protected areas under the Government of Belize, so hunting there is not allowed. But parrots’ nests are located literally in any forest in mainland Belize. It has also been noted that children are often the ones climbing trees to raid nests. Often, they will keep one or two for themselves and sell the others. It is very important to make parents aware of what their children are doing is not only wrong but against the law. Parents are encouraged to educate their children on the importance of conserving Belize’s wildlife. While children find raiding bird nests an innocent and playful part-time, professional poachers make a living out of this, obtaining anywhere from $50 to $75 BZ for a bird from a local person, and $100 to $150 BZ from an ex-pat. A highly valued bird such as the Yellow-Head will reach up to $300 to $800 BZ, while a Scarlet Macaw can fetch up to $2,000 BZ. There are nine species of parrots in Belize. The Yellow-Headed parrot is globally endangered, the Scarlet Macaw is locally endangered and the rest are considered threatened. If poaching continues at the rate it has soon all species may become endangered. Parrots play a key part in replenishing the forest since they spread fruit seeds. Apart from being an important part of our eco system, they are also important in Belize’s eco-tourism. Tourists pay top dollar to be able to visit the forests and see these magnificent birds in their natural habitat. You can also contact the wildlife hotline on (0800) 822-8888. The report is confidential. Join forces with the organizations that are in place to protect our forest, animals, livelihood and home.